« Welcome One And All! 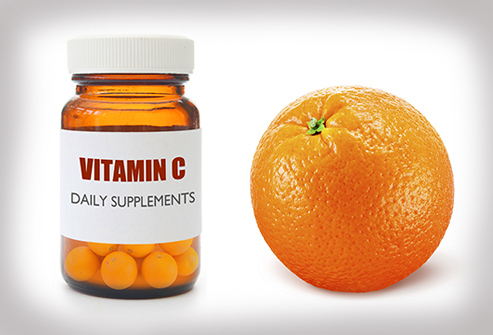 Vitamin C supplements that have NO Vitamin C!! You think that you’re doing a good thing by running out to the local drugstore and buying a big bottle of vitamin C to keep away sickness, right? You think that you’re helping to boost your immune system so that it will be able to fight off germs, right? The answer would be yes IF you were actually taking REAL vitamin C. Go get that bottle and read the ingredients. What you’re actually taking is a synthetic C (ie: fake) (which has NO immune boosting power, by the way) with fillers, polymers, cell destroying toxins, abrasives and petroleum derivatives. Anyway, the ingredients in my vitamin C were: ascorbic acid, cellulose gel, hydroxypropyl methylcellulose, stearic acid, magnesium stearate, silicone dioxide, polyethylene glycol. You will find these are COMMON ingredients in your regular drugstore brand of vitamins. BEWARE! Leave them on the shelf!! Ascorbic Acid – It’s a synthetic version of vitamin C. It’s fake. It’s not real C. It’s a CHEMICAL. Next time you go to the grocery store, check out the juice aisle. Every bottle has this in it, and the FDA says that the juice companies can even put on the label “contains vitamin C” if they put this harmful chemical in it (that’s false advertising, by the way). We are pumping our children full of this crap by the gallons, and we think that it’s good for them. IT’S NOT. My other half and I went to the grocery store the other night, and we looked at EVERY bottle of juice. It was ridiculous. We finally went to the organic section (Sweetbay has a great one!) and found grape juice that was JUST juice. Needless to say, that was what we brought home. http://www.ascorbicacid.net/ – This site explains the difference between real C and the fake chemical. http://www.newswithviews.com/Howenstine/james52.htm – Read here about how ascorbic acid competes with sugar in the immune system and the harmful effects from it. http://stanford.wellsphere.com/back-neck-pain-article/the-truth-about-vitamin-nbsp-c/847404 – I found this very interesting. It explains how and why other vitamins are needed to help the body absorb and process C correctly. Cellulose Gel – Let’s look at cellulose to get a better description. Cellulose is a substance that makes up most of a plant’s cell walls. It’s an organic compound; a complex carbohydrate. Humans cannot digest it properly, but it is beneficial to the processing of food through our intestines. Ever taken fiber supplements to help you ‘go’ more easily? That’s essentially how it works in your body. http://www.scienceclarified.com/Ca-Ch/Cellulose.html – Read more here. I’m of the opinion after much searching and reading that cellulose itself is not harmful (the gel you still want to avoid). Hydroxypropyl Methylcellulose – What a word. Now, what is it? It’s a semi-synthetic polymer (known most often as a type of plastic). In food, it’s used as an emulsifier and thickening agent (ie: filler). Many coatings on pills (like ibuprofen or acetaminophen) are made from this substance, and there is quite a bit of debate over exactly how this is digested and if it’s harmful. But it has cellulose in it, right? Yes, but it is CREATED by heating cellulose with a caustic solution (like sodium hydroxide) and then treating it with methyl chloride. Let’s go back to this heating bit and look at sodium hydroxide and methyl chloride, since those are the two main ingredients that turns cellulose into methyl cellulose. Sodium hydroxide – This chemical is also known as LYE and is a caustic substance. Know why that drain cleaner does such a good job? It’s this ingredient. Know what else it’s used for? When an animal farm or an animal disposal unit has to get rid of carcasses, they submerge the dead animal into a SH/water mixture which turns the animal into liquid, except for the bones. This substance will cause chemical burns on human skin. Lye – This is a corrosive alkaline substance. Both solid dry lye and lye solutions will degrade organic tissue (see above with the animals). You also have to be careful with what other substance lye comes into contact with. In addition to aluminum, it’s reacts with magnesium, zinc, tin, chromium, brass and bronze. Lye intoxication can also cause esophageal stricture. Methyl chloride – It’s also called chloromethane, and is a chemical compound of the group of organic compounds called haloalkanes. It was once widely used as a refrigerant. It’s an extremely flammable gas. Large amounts of chloromethane are produced naturally in oceans from the sun on biomass and chlorine in sea-foam, but all that is used in industry is synthetic (ie: fake). Haloalkanes – These are a group of chemical compounds derived from alkanes containing one or more halogens. They are used as flame retardants, fire extinguishants, propellants, etc. Halogens – These are a series of nonmetal elements of the periodic table consisting of fluorine, chlorine, bromine, iodine and astatine (which is highly radioactive, by the way). They are highly reactive, and as such, can be harmful or lethal to biological organisms in sufficient quantities. Fluorine is a corrosive, highly toxic gas and bonds so strongly that the result is usually permanent. Teflon is fluorine bonded, for example. Chloride plays a key role in brain function and iodine is needed for the production of thyroid hormones, but fluorine, bromine nor astatine are essential for humans. HOLY COW. But what about the hydroxypropyl in front of the methylcellulose, you’re asking? After reading about all of this incredibly dangerous material used in the creating of MC, I don’t CARE about the hydroxypropyl! And I’m sure some science geek (said affectionately) could try to explain how when all of these substances are put through whatever chemical process they go through, they’re perfectly harmless. Granted, when you bake a cake, the cake is not runny like the eggs or grainy like the sugar, but all of those ingredients STILL have had an effect on that cake. I won’t believe for ONE minute that there is ANY process where you could mix THAT many extremely harsh chemicals and have them all come out HARMLESS. I’m NOT taking that chance. Stearic Acid & Magnesium Stearate – My bottle of C had both of these, and they are the same thing, essentially! And know what else? They can have a detrimental effect on your very cells! http://www.imminst.org/forum/index.php?showtopic=16410 – Read more here. http://www.articlesbase.com/wellness-articles/are-you-being-poisoned-the-danger-of-magnesium-stearate-and-stearic-acid-in-our-health-supplements-443927.html – This page explains more, as well, including how toxic it is and how it kills cells. Silicon Dioxide – This is from the rock known as agate. (Yes, I said ROCK.) It is used to manufacture glass, abrasives, ceramics and enamels. Well, that sounds healthy, doesn’t it? Besides, my insides could use a good scrubbing, I’m sure. http://www.ehow.com/about_4600805_what-silicon-dioxide.html – So, there’s basically two kinds, but essentially, it’s SAND. Yum. There is also a naturally occurring silicon in fruits, vegetables, nuts and whole grains, which is all right. I’ll take the natural in favor of the created. 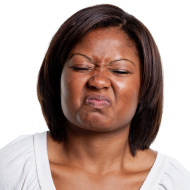 Polyethylene Glycol – Okay…who said that? ‘Isn’t that antifreeze?’, I heard. Well, as a matter of fact, it is; sort of. It’s part of the family of petroleum derivatives that acts as a solvent. Technically, “poly (ethylene glycol)” – as it’s written properly – refers to the chemical compound composed of repeating ethylene glycol units. 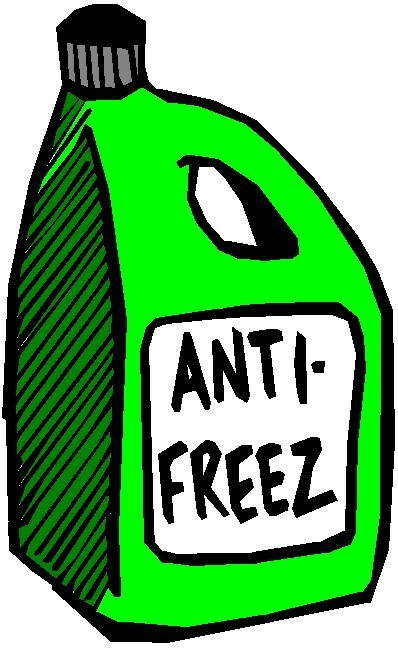 Ethylene glycol IS the main active ingredient in antifreeze. It can also weaken protein and cellular structure in the body. This is another one of those ‘gray’ science areas. I’m sure that someone could argue with me that it’s a completely different substance when heated or mixed with something else, etc. Again, let’s look at the cake. You could put some rat poison in the batter and tell me that the heat from the oven will change the molecules so that it’s safe to ingest when the cake is ready, but I STILL WOULDN’T EAT IT. The poison is STILL in it. Again, I’m not going to take that chance. http://antiagingchoices.com/harmful_ingredients/propylene_glycol.htm – This explains about propylene glycol which is in the same family as polyethylene. http://www.vaccinetruth.org/antifreeze.htm – This explains about both, as well. So, there’s the ingredient list. Whew. I’ve got to ingest ALL of that JUST to get vitamin C? Seriously? The only ‘good’ stuff in that bottle are the rosehips and riboflavin (vitamin B2); the cellulose isn’t too bad. Yech. I think I’d rather just suffer through a cold! You know, sometimes I just can’t even begin to believe that I’ve been ingesting this CRAP for so many years without stopping to actually READ what it was! We’re being poisoned left and right, and we just keep buying! What is wrong with us?! I’d highly suggest running to your medicine cabinet to check out the labels on YOUR vitamins and supplements. I bet you’ll be surprised to find what’s in them. Then, once you’ve Googled everything, toss them in the trash and do a new search for WHOLE VITAMINS, or WHOLE FOOD VITAMINS, or ORGANIC VITAMINS. You CAN get the vitamins that you want, and get them straight from the source, so to speak, with NO additives, fillers or chemicals. Check out this site: http://www.thesynergycompany.com/index.html This is a company founded by a man who was pronounced dead at the scene of a horrific accident when he was young. No one thought that he would survive, but he has. Read about his mentor. Read about how he started The Synergy Company. Read about the ingredients and processes that they use. Peruse their website and be amazed at the VOLUME of information that is provided. Look at their products and learn more about them by clicking on 5 different links. I have ordered the Pure Synergy powder for me, and Vita Synergy for men for my other half. We haven’t received our order yet, but I’m looking forward to it because I was very impressed with the site. I’ll let you know how that goes. I checked out some other sites, but so far, for a ‘multi-vitamin’ and vitamin C option, I liked this site BEST. No, their products aren’t cheap, but are you really going to sell out your health to the lowest bidder? Personally, I’m happy to pay more for better ingredients, and I go paycheck to paycheck like everyone else. I just CAN’T justify “saving money” when it’s destroying me. In the long run, what am I truly saving if it’s slowly killing me? Know what the BEST option is? Getting your C from real food to start with. 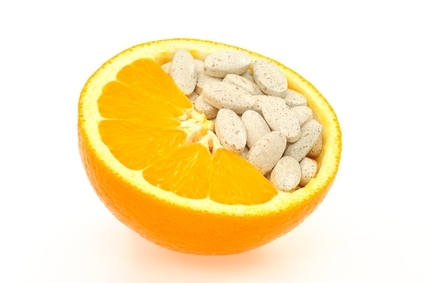 Here’s a good list to check out – http://www.healthaliciousness.com/articles/vitamin-C.php. Mulberries are another great source of vitamin C! So how do you get your vitamin C? I’m sorry, I know this post is 8 years old now but I stumbled across it when I was doing research for a documentary being made. I’m a PhD student in chemical research at the University of Melbourne, Australia, and I’d love a chance to chat about your views to ease any misapprehensions or misunderstandings you have (if you still do have them 8 years later). There really is nothing overly harmful about taking drugstore-brand Vitamin C in the correct doses. I’ll supply my email if you’d like to talk. Hi Calvin. Thanks for your comment, but I do not have any misunderstandings about this. My views have not changed. Based on even my current research, the majority of Vitamin C pills out there do much less than some other options. And thankfully, at this point, there ARE many options to choose from. Good luck with your documentary!